Ala Qumsieh was appointed Chief Executive Officer at Capital Bank of Jordan as of March 2017. He joins the group after spending 17 years in leadership roles in International Financial Institutions in the region. In this role, Mr. Qumsieh leads the Capital Bank group’s overall business operating across Jordan, Iraq and the UAE offering Corporate Banking, Investment Banking, and Retail Banking services to customers in these three markets. Mr. Qumsieh brings with him over 17 years of extensive experience in banking with prime emphasis on Institutional Banking and deep sectoral knowledge. 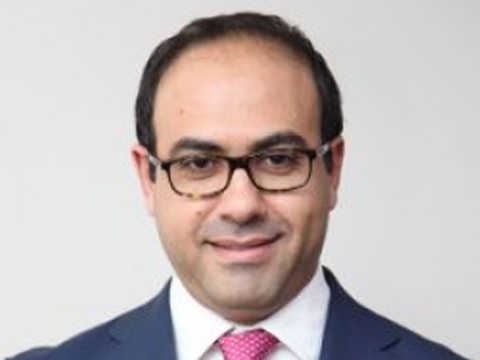 Before Joining Capital Bank, he served as Citi’s Chief Country Officer in Qatar and Head of Institutional Banking for Saudi Arabia, Qatar and Bahrain, where he was responsible for successfully driving and implementing the bank’s growth strategy. Before that, he held several leading positions in International banks. Mr. Qumsieh currently sits on the board of several prominent private and publicly listed companies, and is part of Jordan’s Strategic Forum. Mr. Qumsieh holds a MBA degree in Strategic Management from Aston University, UK, and Bachelor’s Degree in Business Administration from Yarmouk University in Jordan. He is the recipient of several specialized professional degrees.